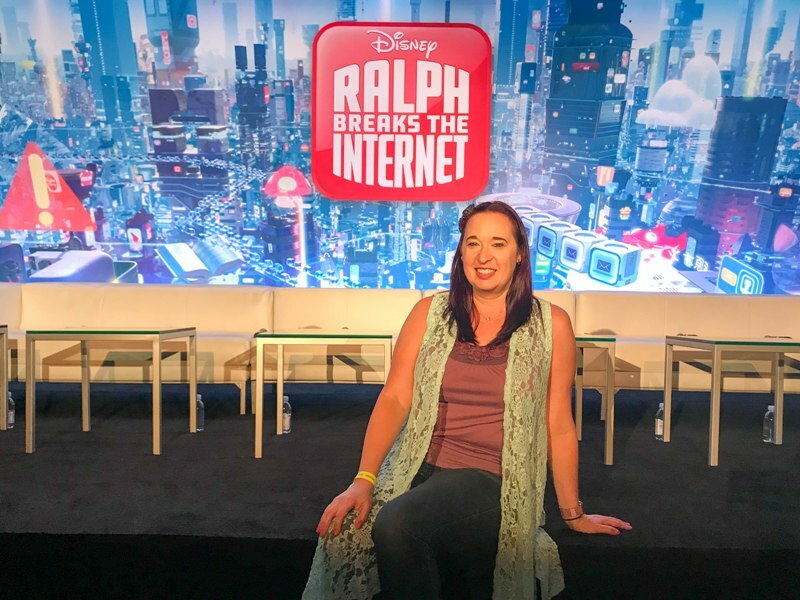 A couple weeks ago I had the pleasure of attending a press conference for Disney’s newest animated movie, Wreck it Ralph 2: Ralph Breaks the Internet! It was such a fun day hearing from this talented group of people. Back in my past life, when I was involved with stand-up comedy, I would see Sarah Silverman and Jack McBrayer at comedy shows. I even once saw John C. Reilly show up as a special guest at a variety show, which is how I found out he was REALLY funny. This was back when he was mostly known from serious movies like Boogie Nights and Magnolia. 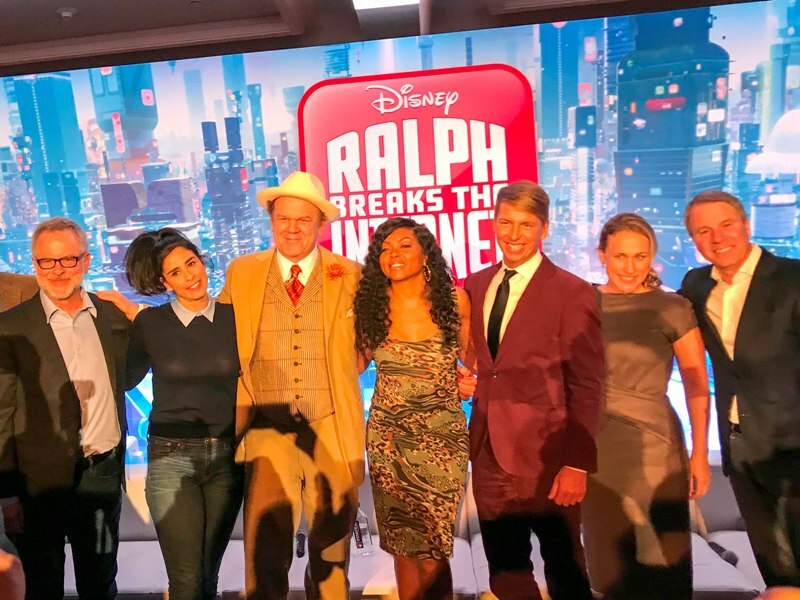 I love that they all have found such success with the Wreck It Ralph movies because they are all such kind people! 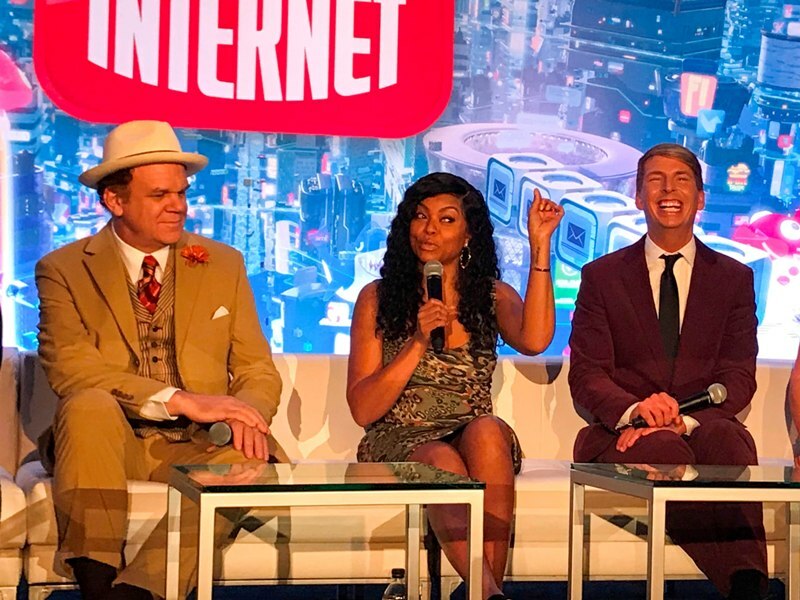 It was also great to hear from Rich, Phil, Clark, and Pamela about bringing the sequel to life and how everyone worked together to create such a fantastic movie about such a tough and fluid subject matter – the internet! But they managed to create something really magical here, and I can’t wait for everyone to see it! For now, I hope you enjoy these interviews! WHERE DID THE IDEA FOR THE WRECK IT RALPH SEQUEL COME FROM? RICH MOORE: … We looked at the very last line of the first movie where Ralph says, after going friendless for the whole movie and then finally making a friend, he’s back home and says, ‘If that little kid likes me, how bad can I be?’ And it seemed at the time, it’s so sweet. It’s a wonderful sentiment. But then as we continued to kind of pick at it, we said, that’s really, really dysfunctional. That this guy is defining himself by what his best friend thinks. And it’s a great best friend. But what if she were not to like him someday? What would that lead to? PHIL JOHNSTON: And so knowing that he still had quite a bit of insecurity, he still had farther to go in his journey. Then we had only known Vanellope for like 35 minutes or 40 minutes. So she has a whole other story. We had to keep going with these characters. JOHN C. REILLY: There’s a lot of really fun metaphors that we’re playing with in the film. And this idea that the arcade is like the childhood kind of arena of their friendship and the Internet represents the sort of larger world beyond as they grow and mature. And Ralph really worked so hard to get a friend in that first one. He’s like got it. Rest of life, solved. [LAUGHTER] And then Vanellope starts to grow and mature and realizing that she wants to feel like she belongs somewhere and it’s not her candy game. So I think a lot of kids and adults are finding a lot of stuff in the film that they can really relate to in terms of the way relationships evolve. So I think there’s something here for a lot of people. And certainly a lot of jokes that operate on a lot of different levels. HOW DID YOU VISUALIZE THE INTERNET? PHIL JOHNSTON: The simplest comp is after several horrible ideas that didn’t really make sense, we finally landed on something where we thought of it like an old city like Rome or Istanbul where the ancient city is buried deep beneath. Then they build a new version on top of that and a new version on top of that like that. And that’s kind of actually what the Internet is. You go down to the guts of it and you find AOL dial-up. But that’s how we envisioned it. Like a city that is multi multi layered with the newest, biggest websites up on top. Then the old forgotten stuff is down at the bottom. TELL US ABOUT THE NEW CHARACTER, YESSS. TALANJI P HENSON: First of all, voicing a character in a Disney animated film. Check. Bucket List, thank you. I just thought she was incredible. I mean, when Rich and Phil brought her to me and explained her, I was like, this is a no brainer. She’s a go-getter. She’s the head of a company. She’s no nonsense. She has heart. My favorite scene is when Ralph finds himself in the comment section or the comment room. She comes in and she tells him ‘It’s not you, it’s them. They’re mean. They’re hurt, so they’re hurting you.’ It grounded the film for me and it grounded the character for me. Made her multi-dimensional. And then getting to voice with amazing actors. I mean, it was just a no brainer for me. DID EVERYONE RECORD THEIR VOICES TOGETHER? SARAH SILVERMAN: We did it together. Yeah. We get to record together with these guys and Pam. And yeah, we get to improvise. They give us a lot of freedom. We collaborate a lot and the script itself is so fantastic. And it’s really fun. I think they always book about maybe an extra hour of time than they need. Because we get real chatty. And there is definitely an album. Like a very rated R comedy album somewhere in the audio footage of recording for sure. 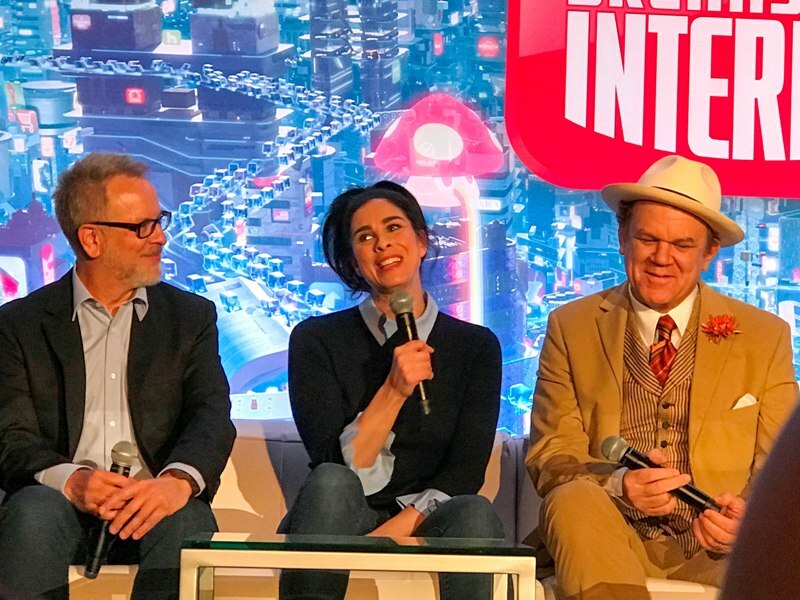 JOHN C. REILLY: It was a real treat to get into the studio again with Sarah. In a way, like our friendship has aged five years since the last film. 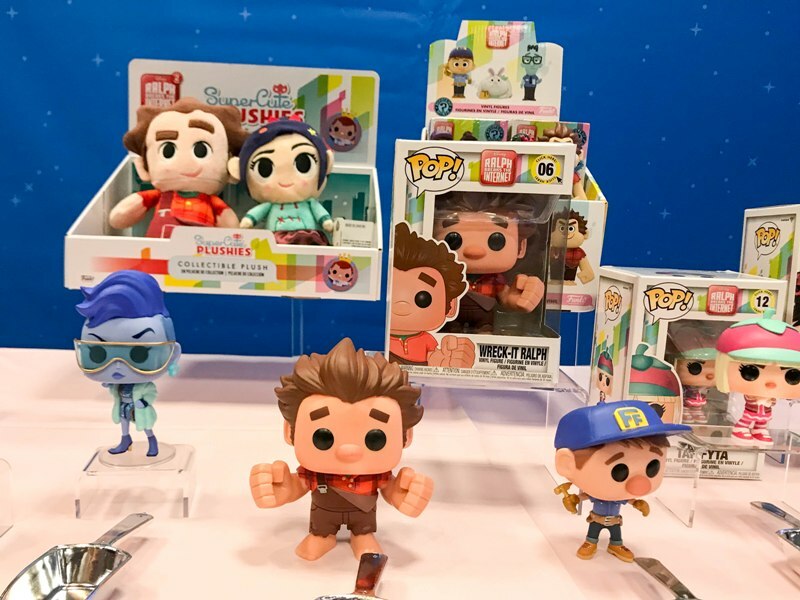 So it tracks in a way with Ralph and Vanellope. But it was a real treat to be able to start at a place of intimacy with Sarah, and with Phil and Rich and Pam and everybody. We all kind of knew each other. And we learned how to work together on the first film. And we built these characters and the story together. So that when it came time to start this one, we could start from a very advanced place in terms of the kind of conversations we could have about the relationships and all that. And you can really see that in the film. I think I was one of the first people to insist that we try to be in the room together as much as possible. Because I know the way improv works, it works best in real time. There’s a ton of improvised stuff, which Phil and Rich were very kind to just let us explore things every day. That’s one of the great joys of doing audio work. There is never the pressure of the sun going down. I think that’s what sets both of these movies apart is that feeling of heart and real emotion. It’s because we’re looking into each other’s eyes. I’ve done other animated work where I didn’t meet the other actor ever. And I’m sure there is sort of practical people that say it doesn’t matter. It’s just a voice. But to me it does matter. I think it does come across in the film. It gives the film a soul it might not have if we weren’t there together. HOW DID YOU DECIDE WHICH SOCIAL ISSUES TO FEATURE IN THE FILM? JOHN C. REILLY: Well … the Internet is like the central issue of our time. Our relationship to this technology, its power, and its effect on us, we don’t even quite understand yet. It’s as powerful as like a nuclear bomb. But it uses other means. So it was really exciting in the context of an entertaining Disney film to be able to talk about some of these issues in a really, really real way. Its effect on people. Why do we crave the anonymous acceptance of people we don’t know? All of this stuff. The way we’re bombarded with commerce on the Internet. So we made this fun entertaining story. But I think certainly you must have asked this question for this reason. That you come away from the film thinking about some of the most important issues of our time. 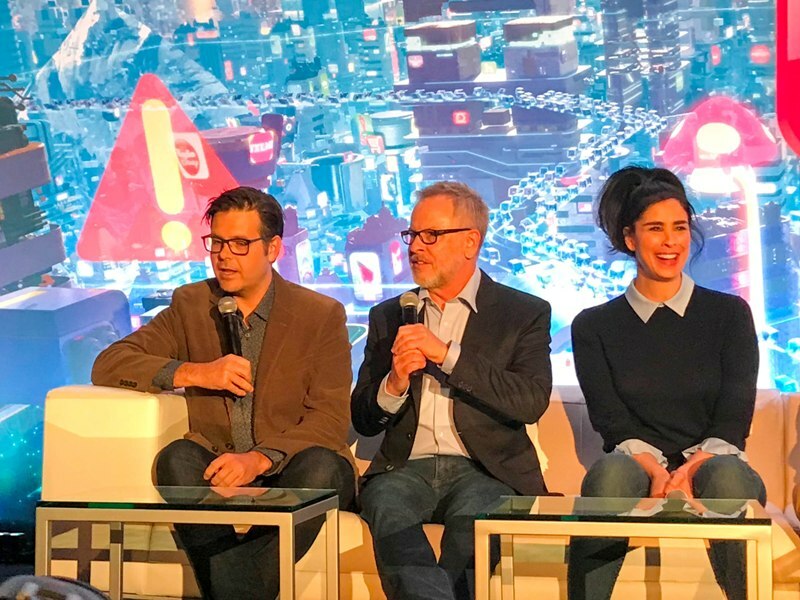 SARAH SILVERMAN: I think the Internet, because it was new for us … kids, it’s all they know. And they probably, I wonder in what ways that’s good and bad. But we had to learn how to navigate and how to protect ourselves. And what we can handle. And what we can allot ourselves. It’s like anything. There can be way too much of it. It’s nice as a treat. And there are bells that can’t be unwrung that probably happen a couple of times a week or a day or in the middle of the night. But I think there’s a lot of good in the Internet. It’s brought the world a lot closer. It’s made it a lot smaller. And then of course there are terrible things about it. A lot outside misinformation. This new world of chaos. And lack of knowing what is true I would attribute to the Internet. But also learning truths about other people that I would have never known. It’s a very complicated relationship, the Internet, that we all have. And we have to try to find a healthy balance. WHAT WAS IT LIKE FOR VANELLOPE TO BECOME A DISNEY PRINCESS? SARAH SILVERMAN: It’s a thrill. And it’s something that the idea of a Disney Princess, what makes it good is that it has grown and changed. That Disney has taken on progress and inclusivity and has grown and changed in positive ways. And where a classic Disney Princess, and really, this movie just faces it head on. Leans right into it. Well, you get saved by a man. And you’re in great distress. Your life is threatened. And then someone else saves you. And then to, all in one movie, acknowledge all of that and then shatter it is so exciting. And to get to be this kid who becomes like a princess with an attainable waist line. And wearing comfortable clothes. And I always like, as a comic, this is really going a different direction. But we end up in diners late at night after shows. And who also ends up at diners late at night are young girls, young people coming out of the clubs, dance clubs and stuff like that. I would see young women in half shirts and sky high heels. And they’re freezing cold. They’re like this shivering. And their feet hurt. I just think. I just wish I could tell them that they don’t have to be uncomfortable to deserve love. Boys are not raised to think that they ever have to sacrifice comfort to be loved. And it just always struck me. I would go oh. I would be in like my hoodie and jeans and just think, these girls don’t think that they can get love without this insane amount of physical discomfort. And I love that Vanellope kind of sheds light on these grown up princesses that are uncomfortable hanging out. THE MOVIE DISCUSSES RALPH’S INSECURITIES. WHAT ARE YOUR INSECURITIES? JOHN C. REILLY: I’ve worked really hard not to let my insecurities slow me down. I think that’s one of the important things every person in their life has to do is learn not to judge yourself and be kind to yourself inside of your own thoughts. But I do think I’m insecure about, probably because my mom said to me almost every time I left the house. She would say ‘Don’t wear out your welcome. Where are you going? Oh, go over there. Don’t wear out your welcome.’ Because I spent most of my day just wandering around the neighborhood going to different relative’s houses. SARAH SILVERMAN: You know, it moves around. Like grappling with being the age I am. I’ve never been this age. And it’s the oldest I’ve ever been. But then I’ll go, it’s the youngest I’ll ever be. That’s what I tell myself too. And then like, how I’m supposed to be. And then I go, however I am. I’ll go see the cellulite on my thighs. I go, ugh. And then I go, I’m strong and my body works. And I love these thighs. These thighs help me stand and walk and move. PAM RIBON: I’m sometimes insecure about whether or not I can fit into a group. So the princess scene comes from those insecurities. CLARK SPENCER: There’s this moment in time where we’re building the stories and we’re recording the voices and know there’s a deadline you’re trying to meet. And you just wonder if that’s actually going to come together. So I always have those moments of insecurity. Will this be the film? But it doesn’t happen. It’s an incredible group of people that come together to figure it all out. 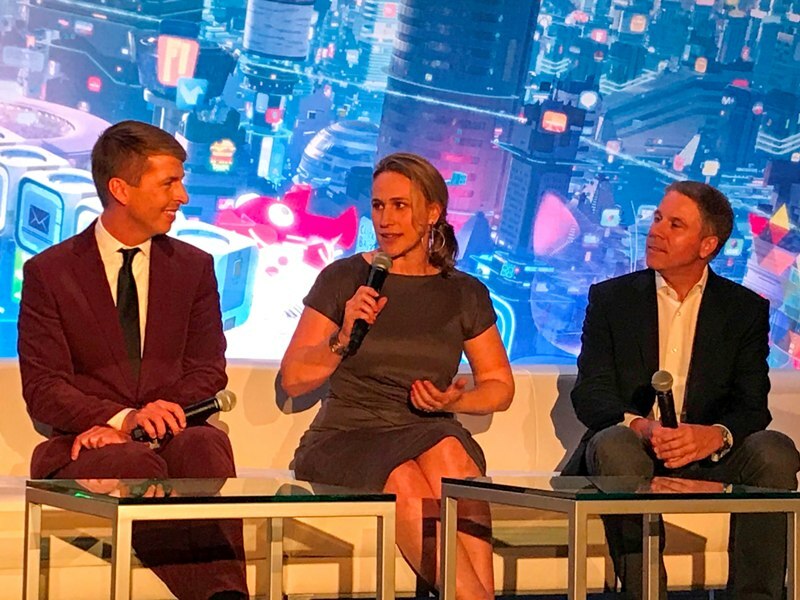 JACK MCBRAYER: I’m wearing Spanx right now. I was worried about fitting in this suit. WHAT DO YOU HOPE KIDS TAKE AWAY FROM THIS MOVIE? PAMELA RIBON: One of the things I hope they think about is when you have to start a new school or your friendships change and you move into a new place, that fear that you have. That everything will be different and you’ll never know those friends again. We really thought about that, that shift in life. Because it keeps happening. No matter how old you get, you move into a new place and you meet new friends. And you don’t have to lose your old ones. JOHN C. REILLY: Among many things, first of all, I hope kids are entertained and feel like this story relates to them. And that they recognize some of their own friendships in these characters. But I do hope, you know when you do something unhealthy or something that makes you unhappy, and you just do it in a kind of mindless way. You get caught in these patterns of behavior. And then at some point, if you make a move towards being more healthy, you say, why am I doing that? And I think this idea of chasing after anonymous love, these hearts. In our movie, these hearts. Or this idea that kids are reaching out for acceptance from people they don’t know. And how that’s ultimately kind of an empty feeling. I hope that kids come away with that aha moment that I just described. Which is like, why do I do that? Because that’s the first step to really understanding a situation like that is asking yourself, personally, well, why am I doing that? Maybe I can do something differently once you have that realization. RICH MOORE: I always liked it, when I was a kid, films that made me realize I’m not the only one that does these kind of things or feels this way. Because I think like with depression, like with anxiety, with a lot of these issues, even bullying, there is a component that it’s shameful and that we shouldn’t talk about it. And I’ve got to keep it to myself. As a kid, when I would see a movie where I saw a character going through the same things that I was, it made me feel like okay, I’m not alone. I’m not crazy. I’m not a freak, the only person on earth feeling these things. 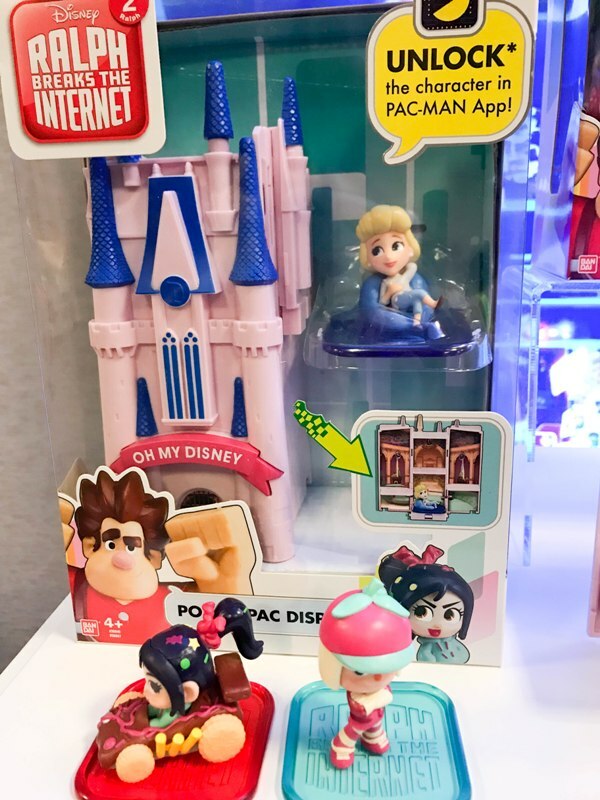 We also got to preview some of the merch available for RALPH BREAKS THE INTERNET. 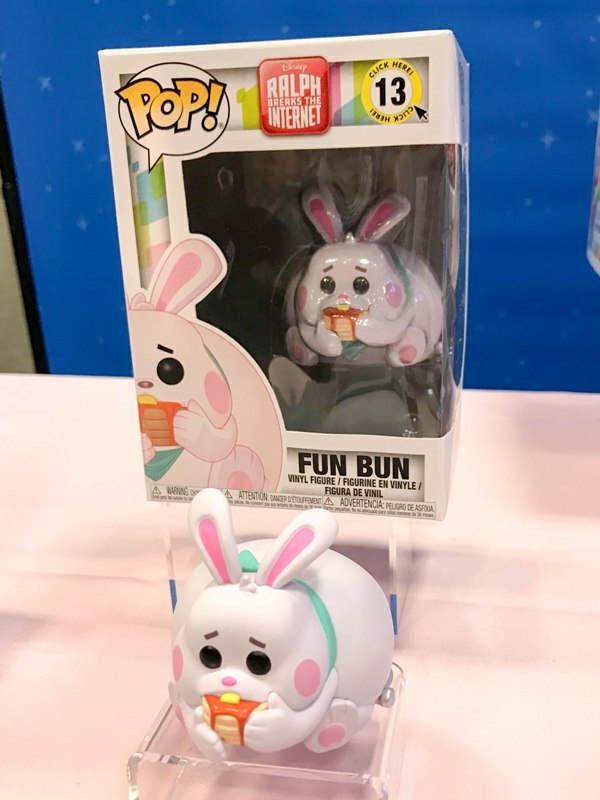 These are going to be some of the hottest holiday toys! 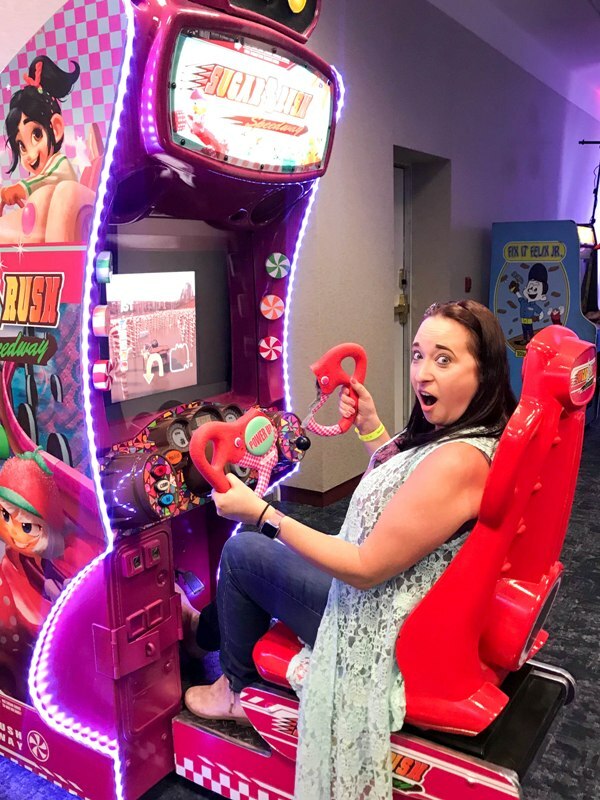 I even got to play Sugar Rush … WHOOPS, let’s pretend you never saw this!